This book uses a historical and theoretical focus to examine the key of issues of the Enlightenment, Orientalism, concepts of identity and difference, and the contours of different modernities in relation to both local and global shaping forces, including the spread of capitalism. The contributors present eight in-depth studies and a substantial theoretical introduction, utilizing primary and secondary sources in Turkish, Farsi, Chinese, not to mention English, French and German in the effort to engage materials and cultural perspectives from diverse regions. It provides a critical attempt to think through the potentialities and limitations of area-studies and ‘civilizational’ approaches to the production of knowledge about the modern world, and the often obscured relationship between the fragment and the whole, or the particular and universal. The book is an intervention in one of the most fundamental debates confronting the social science and humanities, namely how to understand global and local historical processes as interconnected developments affecting human actors. 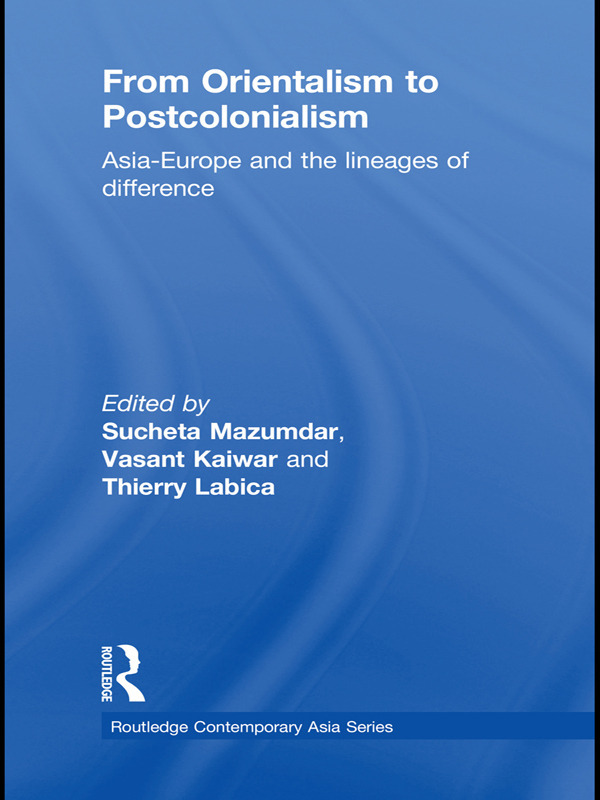 From Orientalism to Postcolonialism will be of interest to academics and postgraduate students in Cultural and Postcolonial Studies and Asian studies and Middle Eastern studies.